We think there are some very good reasons why you should choose Altron as your preferred supplier of CCTV camera mounting structures and brackets. 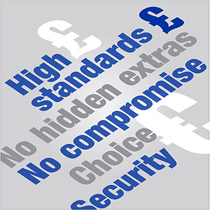 Although to most ‘a pole is just a pole’ and this we understand to be the reality of the end users perception, we are very passionate about the fact that our CCTV mounting products are not just another ‘pole’ but are in fact designed, developed and manufactured to be the most appropriate products available for mounting CCTV cameras. Find out why in the links below.